Summer gives us time to look back and reflect on the hockey season. It gives us time to remember years gone by. It's time to go back and remember some of the most memorable moments in team history. This time we go back to June. The Penguins Cup run in 2016 seemed surreal in how it came together almost perfectly. They seemed to be destined to win with no one able to stop them, despite the best efforts of the Rangers, Capitals, Lightning and Sharks. 16 wins later the Cup was back in Pittsburgh and with little drop off between years, expectations were high for 2016-17. Between Game 1 and Game 82 things change. Injuries depleted a blue line that was a big part of the Penguins success the previous year. It meant less of a transition game and less offense. It meant a different Penguins team entered the playoffs. It meant much more a grind. 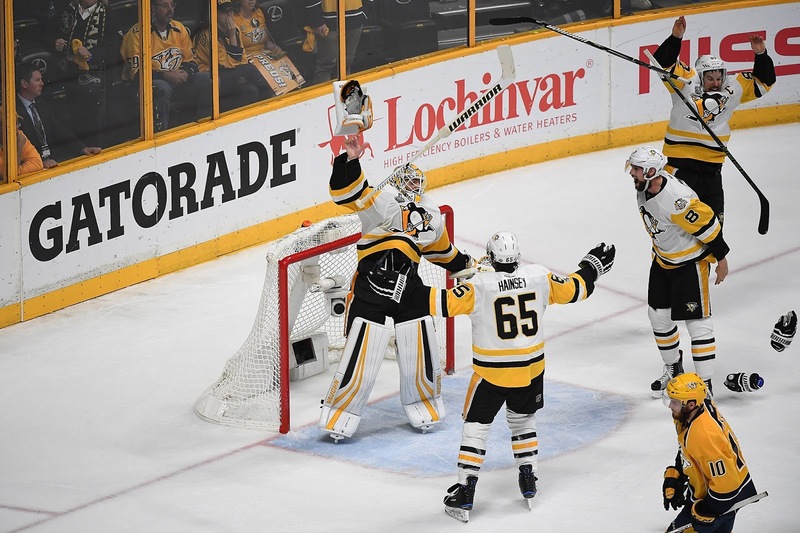 Six, seven and seven plus game efforts in the first three rounds (including that double overtime thriller in Game 7 against Ottawa) sent the Penguins back to the Final with a chance to do something that hadn't been done in the Salary Cap era: win back-to-back. 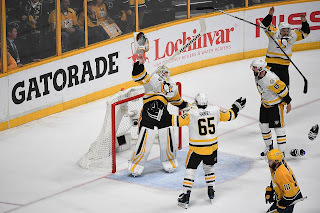 After being gifted the first two games by Pekka Rinne, the Penguins lost the next two in Nashville. Slowly, though, confidence grew on the ice. It was tilting back in their favor despite being steadily in Nashville's for 3 1/2 games of the series. Game 5 was all Pittsburgh at home as they chased Rinne once again. And then it was off to Nashville for a date with history. An improbable run, a grind for every single game, ended as the Penguins lifted their fifth franchise Cup and the Malkin/Crosby crew cemented themselves as a modern day dynasty. This one as unique as the rest but seemingly more unlikely than the others. It was fate and it was earned. The Penguins had, once again, lifted Lord Stanley. And with that our look back at the past ends. Next week the preseason begins and the 2017-18 season is not far behind. The Penguins, again, have the target on their backs as they look to make it three in a row. We hope you stay with Pens Initiative throughout the season as they try to complete the trilogy.